Making a difference at home and around the world. 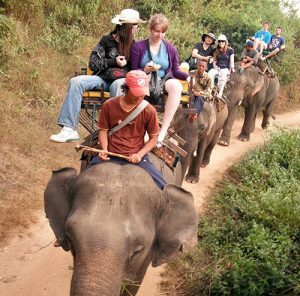 Every second year Senior School students at Cedar College have the opportunity to take part in an overseas service trip, which is currently to Thailand. Accompanied by Cedar College staff, the students take part various activities over a period of 4 weeks, enabling to experience life in a different culture while serving the community in many practical ways. Aligned with international support agency ‘Compassion’ – a Christ-centred, Child-focused, Church-based ministry – the students spend time in the established school ministries in Thailand, supporting staff and spending time with Thai students. Cedar College students also spend time serving in a local orphanage, helping out with building projects and ministering at local churches. During the school year, each class in the High School organises a fund-raising activity to generate funds for the Service Trip, and also for the Compassion children that the school sponsors. Another major fund-raising opportunity is the Fusion Formal Dinner, held annually, which also contributes funds to the Service Trip. The opportunity for students to raise money and provide for those in need from other countries, helps broaden their perspective and understanding of the world around them. The two main goals of the Service Trip have remained the same, since its inception: to provide opportunities for students to serve people less fortunate than themselves, and to grow their world view by being immersed in another culture. 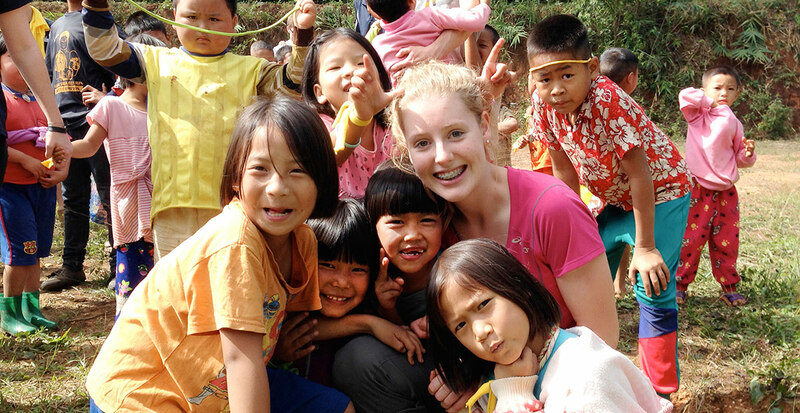 Perhaps most of all, the Thailand Service Trip serves to fulfil the purpose of Cedar College in preparing students for real life as they discover Jesus, display love and develop self. Is the Cedar College Sports Centre, or other school fitness facilities, available for hire? The Sports Centre is available for hire for community groups outside of school and other official use times. All enquiries should be addressed to the Sports Centre manager [email protected] or phone (08) 7221 3674 or 0467 253 547. I previously attended Cedar College, where can I find information regarding reunions and other old scholars. We keep a database of our old scholars and will post updates on our Old Scholars page. To update your details fill in the form on the Old Scholars page. Where can I park when attending the Cedar College Sports Centre? The Sports Centre has parking near the Navigator Drive entrance as well as between the Sports Centre and the Vickers Vimy Oval.